The heroes of Last Knights live by an ancient warrior’s code, which is another way of saying that they’re sullen, humorless lugs. As these traits are right in Clive Owen’s wheelhouse, he gives a credible performance; his Commander Raiden (no relation to the triangle-hatted Mortal Kombat combatant) trudges through his paces with exactly the right sense of weary nobility. But while Raiden has good reasons to feel ground down by his surroundings by the end, the viewers of Japanese director Kazuaki Kiriya’s low-budget Middle-Ages riff may end up wondering what they’ve done to deserve such a drab, punishing night at the movies. 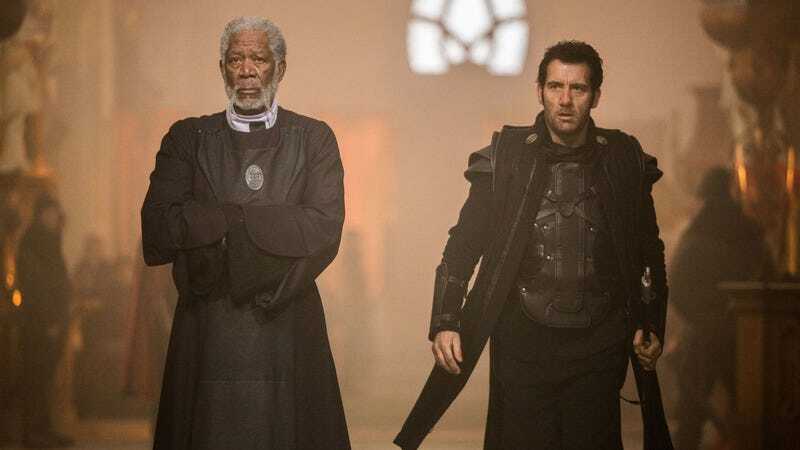 Last Knights embraces clichés like an old friend: It casts Morgan Freeman, for God’s sake, as a wise old leader named Bartok (no relation to the atonal Hungarian composer) with a sense of justice and a fondness for long leisurely speeches. In one of these, he assures his right-hand man—that’d be the impressively lethal and loyal Mr. Raiden—that in the event of his death, the entire kingdom will be at the younger man’s disposal. This revelation leads us to wonder just how long we’ll have to wait for old Bartok to kick the bucket. The answer turns out to be about 20 minutes, as Raiden is suckered into delivering the death blow by a corrupt minister (Aksel Hennie) with designs on being the leader of the realm. (Exactly how the villain’s plans to subjugate and tax the population differs from Bartok’s is something the script never bothers to address in detail.) The rest of this very long and slow movie is given over to our hero’s revenge, which is achieved via an uprising of knights whose basic interchangeability (they’re all sullen, humorless lugs) belies their variegated ethnicities. As with the deliberately vague period setting, the film’s colorblind casting seems meant to place it outside of actual history. This strategy would be more effective and resonant if any of the talented international performers on hand were given anything interesting to do. But they mostly just hang out in the shadows. Iranian actor Peyman Moaadi, so amazing in A Separation, is wasted as a listless emperor, while Maori star Cliff Curtis doesn’t even get any good lines in a burly sidekick role. 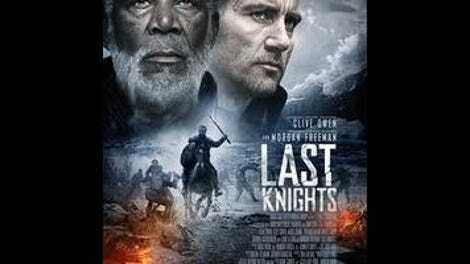 In the absence of compelling characters or a surprising storyline, Last Knights could have gotten by with some grand old action-movie style. For instance, Kiriya brought off the fight sequences in his Robin Hood-as-ninja film Goemon with aplomb. This time out, however, he cloaks the proceedings in so much murky grayness that the choreography of bodies and swords is nearly indiscernible. The editing, meanwhile, is laggard: There’s no reason for a film with a plot this simple to drag on to the two-hour mark. In a movie filled with public executions, that running time qualifies as truly cruel and unusual punishment.